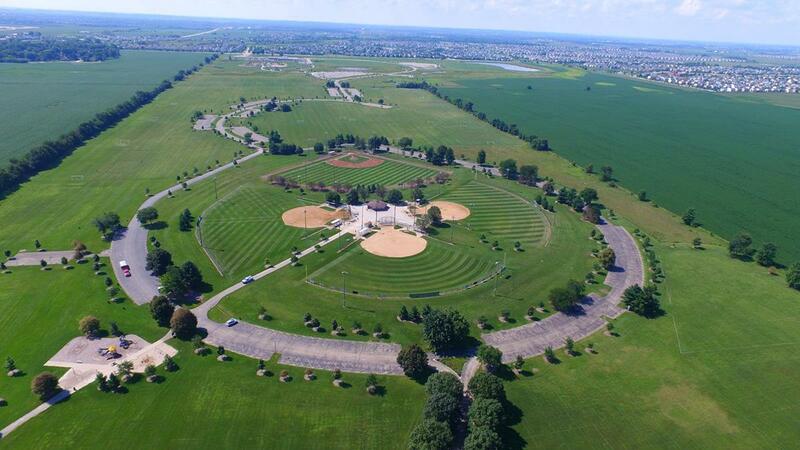 Located 40 miles west of the country’s third largest city, Aurora, Illinois offers local suburban fun with big city sports facilities just outside the Windy City. Stuart Sports Complex is just one of the spacious facilities to choose from in Aurora. While Chicago is undoubtedly a leading city for state-of-the-art sports facilities, renting out these facilities comes at a high price and can be difficult to obtain due to high demand. Luckily, Chicago being the third largest city in the country results in a number of surrounding suburbs offering similar state-of-the-art sports facilities at lower costs. Aurora is one of these leading suburbs, offering several top-notch sports facilities with entertaining activities in the surrounding area for the whole family to enjoy. With an athletic field space large enough to fit up to 32 full size soccer fields, Stuart Sports Complex in Montgomery is suitable for every sport imaginable, namely soccer, lacrosse, ultimate Frisbee, football, softball and baseball. Stuart Sports Complex offers their facilities at affordable prices, including tournament rentals for exclusive use of fields for an entire weekend. For all things volleyball, look no further than Great Lakes Volleyball Center in Aurora, home to the Sports Performance Volleyball Club, with more than 500 players aged 13 to 18. Offering sports performance and development and competition workshops for both coaches and players, Great Lakes Volleyball Center is the country’s largest camp and clinic program, with over 3,000 participants in 2017. Hosting numerous tournaments throughout the year to both boys and girls volleyball teams of all ages, the center’s facilities include eight courts, a full-time retail store, an expansive, full-service weight training facility, a spacious concession area and an 11,000-square-foot mezzanine viewing area. Supreme Courts features four high school basketball courts with premium wood flooring used in 90 percent of NBA courts and top universities. The facility also includes full climate-controlled courts and 24 collegiate grade ceiling mounted baskets, whose low-profile interwoven subfloor design provides enhanced acoustic and dynamic uniform ball bounce. Wheatland Athletic Association (WAA) is an ideal location for soccer, baseball, softball, basketball and flag football teams. WAA’s goal is to provide children with an opportunity to learn basic skills in a safe, non-threatening environment. While this is the focus of WAA’s recreational programs, they also house competitive leagues for more skillful and experienced players. The facility fields over 250 teams with more than 2,500 participants for soccer alone, with players from Kindergarten to 9th grade. A bowler’s dream, Parkside Lanes was founded in 1956 as a member of the Suburban Windy City Bowling Association. Family owned and independently operated, Parkside Lanes utilizes the latest innovations in automatic scoring and synthetic lane surfaces. A 54-lane bowling center, Parkside is proud to be home of professional bowler Sean Rash, the 2012 Professional Bowlers Association (PBA) Player of the Year. As one of the largest bowling centers in Illinois, Parkside Lanes offers endless bowling opportunities, including open bowling, junior and adult league bowling, sport sanctioned bowling, IHSA high school bowling, birthday parties, corporate events and fundraisers. They have even hosted events for various organizations such as Big Brothers/Big Sisters, the Fox Valley Special Recreation Association and the Special Olympics. A facility dedicated to keeping kids engaged and active, Rush-Copley Healthplex makes fitness fun with activities that promote health and wellness for children of all ages. 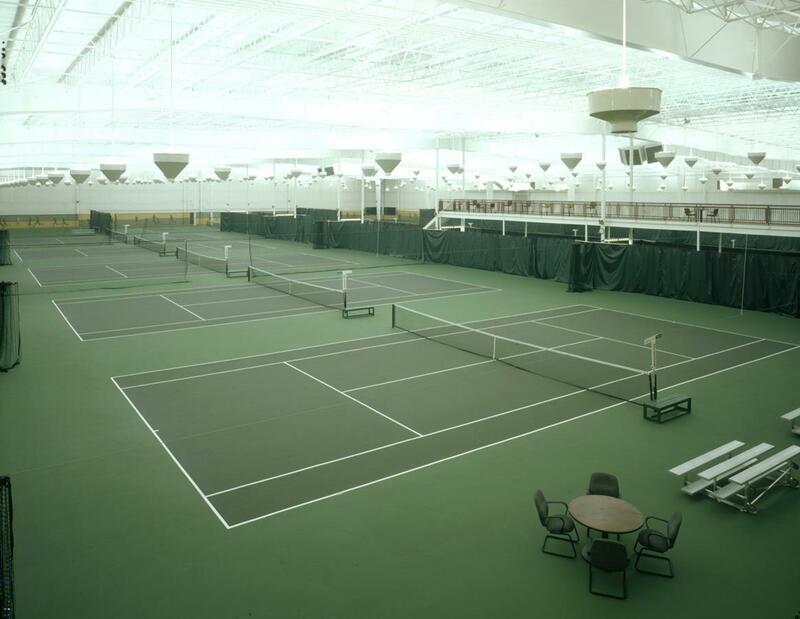 Known for their tennis facilities, the center features eight Deco-Turf indoor courts, six outdoor Har-Tru clay courts, round-robin tournaments and clinics. Besides tennis facilities, Rush-Copley Healthplex also features a half-mile indoor track, 10,000 square feet of multipurpose courts, a two-story rock climbing wall, a boxing and martial arts studio and two swimming pools. The complex also offers a variety of youth programs, including Fit Club, an educational, innovative and challenging program designed for 11 to 15-year-olds. 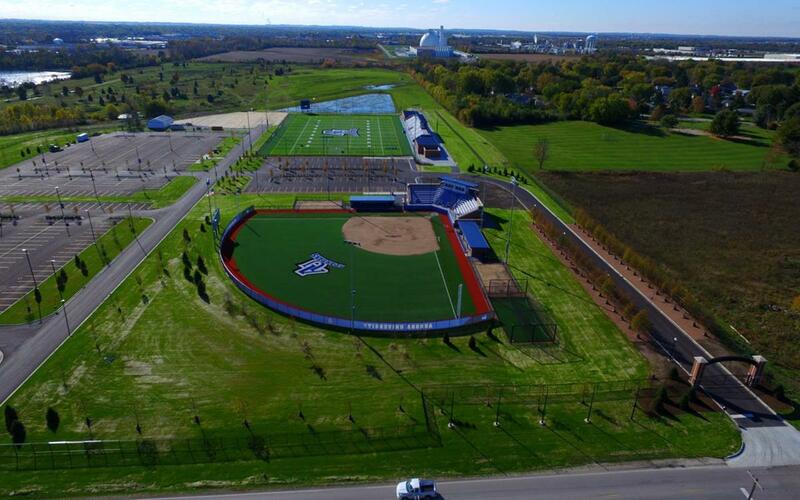 In 2017, Aurora University’s Spartan Athletic Park in Montgomery began a $40 million renovation aimed at providing the institution’s student-athletes with high-quality practice and competition facilities. Serving softball, baseball, lacrosse and soccer teams, Spartan Athletic Park’s softball fields feature premium synthetic turf, two 800-square-foot dugouts, bullpens with professional quality mounds, digital scoreboards and seating for 300 fans. The park’s championship quality soccer fields include seating for 1,000 fans, a 112,000-square-foot field turf surface, locker rooms, press rooms and concessions stands. Go For It Sports was founded to promote athleticism among a wide range of ages and athletic capabilities. Their goal is to develop an athletic facility that would combat the limitations set forth by traditional sports complexes. They aim to help children and adults reach new heights through athletics. Most sports complexes are limited to a single sport, only accessible to exclusive communities and official sports teams. Go For It Sports is unique. The facility is multi-purpose and adaptable for both public leagues and organized sports teams, schools and special needs athletes. The indoor turfs and courts are specially designed to support baseball, softball, soccer, volleyball, basketball and more. Best of all, Go For It Sports is open year-round, rain or shine. During the warmer months, the dome will protect athletes from the intensity of the hot summer sun, while also eliminating the annoyance of flying bugs. 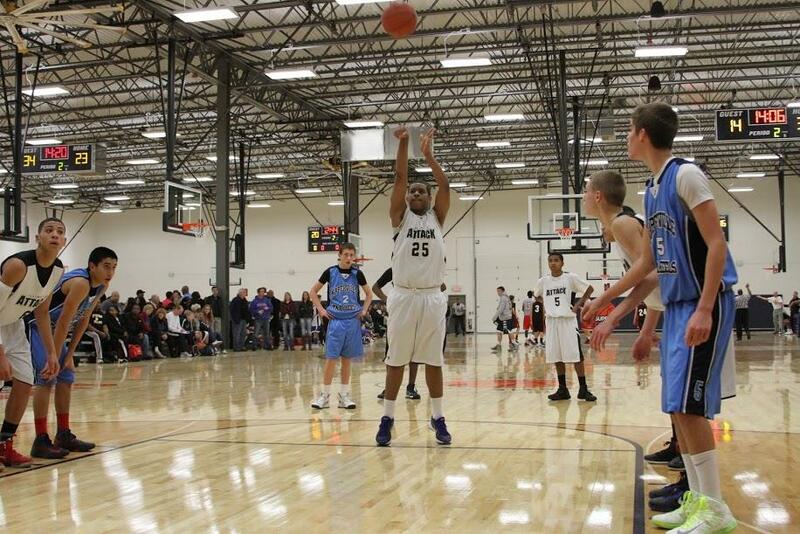 Go For It Sports offers a warm, dry and comfortable environment to enjoy sports during unfavorable, Illinois winters. No matter their area of concentration, the Go For It Sports team will help foster your young athlete’s love of sports, building confidence through athletics. Whether looking for outdoor fun during warm summer months or indoor activities during the Chicagoland area’s frigid winters, Aurora offers both. Paramount Theatre was the first air-conditioned building outside of Chicago, and during its opening in 1931, had appearances from film stars such as the Marx Brothers and Jack Benny. Throughout the years, the theater has hosted films, plays, musicals, concerts and comedy shows. Exemplifying the bliss and beauty of summertime in the Chicago suburbs, RiverEdge Park’s 8,500-seat concert venue is situated along a picturesque river walk, with a bike path, pier and naturalistic landscaping to gaze upon. Samantha Fish, One Republic and Gladys Knight are among this year’s performers. For a day of shopping, Chicago Premium Outlets is an outdoor mall with all the designer names at discounted prices, including Adidas, Coach, Vera Bradley, Tommy Hilfiger and more. Raging Waves Waterpark in Yorkville is a fan favorite for all ages and is Illinois’ largest waterpark. With 58 acres of swerving slides, a relaxing lazy river, a wave pool and raft rides, the waterpark offers outstanding discounted rated for groups of 15 to more than 200 guests. Blackberry Farm offers an educational experience to guests as a historical landmark and recreational area with museums depicting rural life, a carousel, paddle boats and concessions. Seminole Sports is thrilled to have established a great relationship with the Fox Valley Park District and Aurora Area Convention & Visitors Bureau. The FVPD staff does a great job of communicating with our tournament directors and ensuring proper maintenance of their pristine fields. 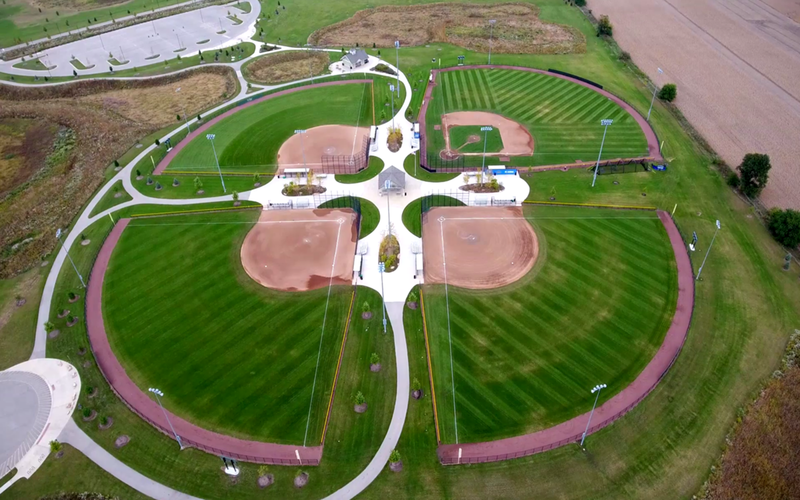 In our first two years of running tournaments out of the Stuart Sports Complex, we have been able to attract and bring in teams from Iowa, Michigan, Missouri and Wisconsin. We look forward to working with Pete Garlock for years to come in order to continue to bring teams to Aurora and show them all it has to offer. It has been a pleasure to work alongside Pete and Cort at the Aurora Area CVB. 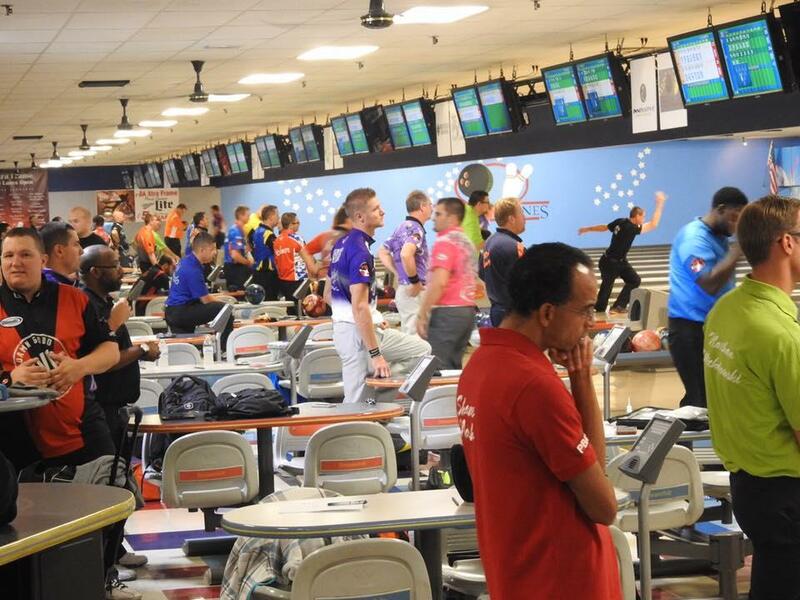 They have been very helpful in lining things up for the upcoming PBA Xtra Frame Parkside Open at Parkside Lanes in Aurora, IL September 30-October 2. Being situated just 40 miles west of Chicago makes getting to Aurora a breeze, with a variety of options for traveling teams trying to reach this bustling suburban area. By Car: If coming from Chicago or northern states such as Wisconsin or Minnesota, take Interstate 94 to Interstate 88 and take the IL-31 exit 117 toward Aurora/Batavia. If coming from the south, take Interstate 65 to Interstate 88 and if coming from the west, take Interstate 80 to Interstate 88. By Air: Chicago O’Hare International Airport has direct flights to 217 destinations. Midway International Airport is another great option for traveling teams.